SD 61 - Secure connectivity! The SD61 wireless base station allows you to more easily manage your Bluetooth scanners. 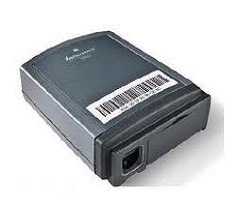 This secure connection acts as a gateway to your host PC for up to 7 Intermec Bluetooth scanners. The SD61 houses the drivers to interact with the host PC, which means users need only scan the identifying bar code on the scanner to associate to the station and the host PC.